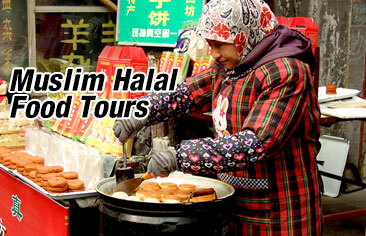 The tour features visits to the UNESCO heritage sites and the glamorous casions. 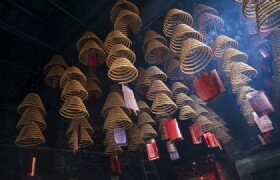 This tour is ideal for tourists who will return to hotels in Hong Kong. Pickup at your hotel lobby, or you will be informed the nearest pickup hotel to meet with your guide. If you can not find your hotel in the list, select "Z - my hotel is not in the list", tell us your hotel name and address. Then you will be informed the actual pickup time and pickup place. Our tour guide will pick you up at the hotel lobby between 07:00 to 07:30, you will then be transferred to the Hong Kong Ferry Terminal for departure to Macau. 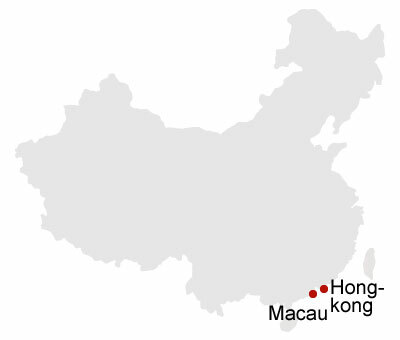 Once the tour ends we will be transferred to Macau Ferry, take 1 hour ferry to Hong Kong, and then take coach back to your hotel. 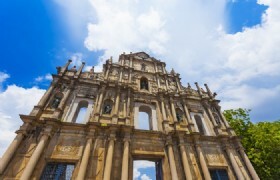 Upon your arrival in Macau, your sightseeing tour begins with several UNESCO World Heritage Sites. In the heart of the old city stands the great carved stone facade of St. Paul's, which, with the grand staircase, are all that remain of the first church and Colleague of the Jesuits in China. Designed by an Italian Jesuit, the church was built in the early 17th century. In 1835 a fire destroyed all but the facade. 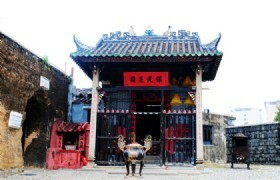 This Chinese traditional styled temple known as Na Tcha Temple was built for worshipping Na Tcha (a mythical character). The temple was enlisted as a World Heritage in 2005. The temple is located just behind the Ruins of St. Pauls. The fortress was Macau's principal military defense structure which was built in conjunction with the Jesuits form 1617 to 1626. The fortress covers an area of 10,000 square metres and is in the shape of a trapezoid. It has became a UNESCO World Heritage Site in 2005. An elongated triangular shaped square and connects Largo do São Domingos at one end and Avenida de Almeida Ribeiro on the other. Vast majority of the buildings around the square are European styled, The most famous ones are Leal Senado Building (World Heritage), General Post Office Building, etc. Soar to a breathtaking 223 meters above the ground. 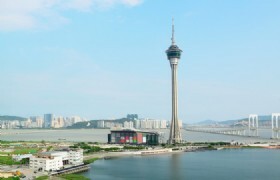 Macau Tower offers you a different vision of the entire city. Gaze out over to Cotai Strip, look for Macau's landmarks and historical sites all in one spot. It offers the best view of Macau and has been awarded "Best Theme Attraction in Asia Pacific" for 2005 & 2006 by TTG Asia – Macau Tower. For those with fear of heights, there are also souvenirs shops, Mocha clubs (machine based casino gaming) and coffee shops located at the ground floor. Casinos in Macau offer a large variety of casino games that give versatile entertainment to visitors. Try your luck! No picture taking is allowed inside the Casino. The visiting time is 45 minute. At about 4:30 pm, you will be transferred back to Macau Outer Harbour Ferry Terminal. You will take ferry back to Hong Kong. Another tour guide will pick you up from Hong Kong side, and transfer you back to your hotel by coach.